On Monday, April 22, Legislator Sarah Anker joined Citizens Campaign for the Environment (CCE) and Brookhaven National Lab for their Passport to Green Earth Day conference. 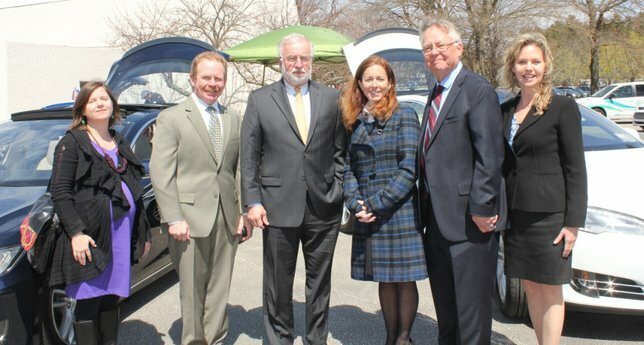 Upton, NY - May 13th, 2013 – On Monday, April 22, Legislator Sarah Anker joined Citizens Campaign for the Environment (CCE) and Brookhaven National Lab for their Passport to Green Earth Day conference. Brookhaven National Lab partnered with CCE to focus on how climate change will impact the future of Long Island. The summit followed a showcasing of green technology vehicles. Speakers at the summit included Congressman Tim Bishop, Climate Change Coordinator Boland Nielson, and Stony Brook University’s Chris Gobler. Subject: LongIsland.com - Your Name sent you Article details of "Leg. Sarah Anker Attends Passport to Green Eart Day Conference"